Save the World . . . or Destroy It! GURPS Powers is the ultimate book for the ultimate characters in the new Fourth Edition of GURPS! Here's everything you need to create every kind of amazing, off-the-chart superhero you can imagine . . . as well as amazing wizards, wuxia fighters, shamans who command spirits . . . even gods! Written by GURPS Line Editor and Fourth Edition co-author Sean Punch, GURPS Powers introduces some new rules, but it is mostly about using the rules that are already in the GURPS Basic Set to cover superpowered characters, megawizards, and earth-shattering psionics. GURPS Powers also include guidelines for "special effects" and several different ways to vary a power on the fly – two crucial concepts for comic-book superheroics. 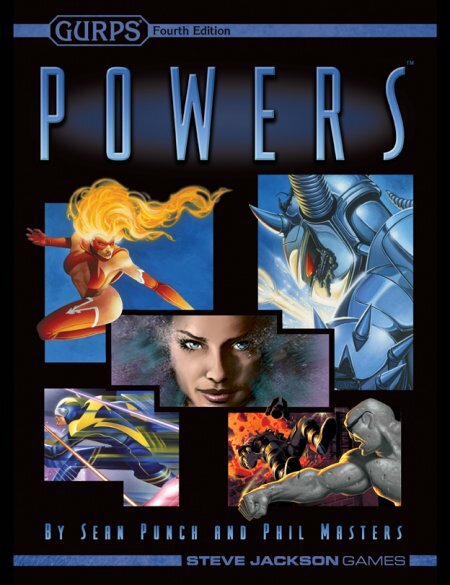 GURPS Powers is a Fourth Edition GURPS book that completely replaces the Third Edition books GURPS Supers and GURPS Psionics. Like our other Fourth Edition supplements, it's a gorgeous 240-page, full-color hardcover. If you've got a high-powered campaign – or high-powered players – you want GURPS Powers! GURPS Psionic Powers is a comprehensive framework that applies the principles from GURPS Powers to a full treatment of psychic abilities. Unleash the powers of the mind! GURPS Powers: The Weird – a guide to weird-science abilities and strange powers. GURPS Powers: Enhanced Senses provides additional options for all manner of sensory abilities, plus expanded rules for various sensory actions. GURPS Powers: Divine Favor is another complete framework that uses the GURPS Powers system – one that proves a powerful enough faith can move mountains! GURPS Supers – A comprehensive playbook to the supers genre and to capturing it in your campaign. GURPS Magic – All the spells from the Third Edition GURPS Magic and GURPS Grimoire, plus dozens of all-new spells, in the ultimate tome of magic! GURPS Thaumatology – Fantasy settings are defined by their magic . . . so different worlds need different magic systems. GURPS Thaumatology: Chinese Elemental Powers – An extensive and flavorful example of using powers to represent magical arts. GURPS Thaumatology: Sorcery – A self-contained system that models magic as a power and spells as mystical advantages the sorcerer can draw upon instinctively, easily, and repeatedly! GURPS Power-Ups – Each supplement in this series adds a small set of new abilities for your characters to buy. Pyramid #3/65: Alternate GURPS III – Contains an article featuring optional new abilities that expand on Coordinated Attacks from Powers. 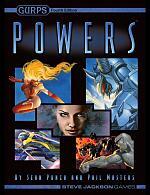 Ken Hite wrote a quick, but eloquent, review of GURPS Powers in his Out of the Box column.